By Steven Lin - Sports Editor · February 2nd, 2019 at 1:34 p.m. 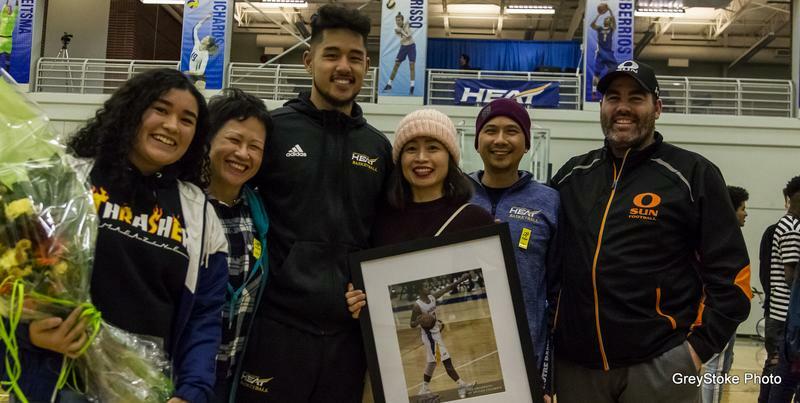 The Heat men’s basketball dropped out of playoffs after the weekend’s loss against the Victoria Vikes on Saturday night with the final score of 82-61. The Heat Department organized a farewell celebration for the graduating athletes, Aldrich Berrios and Vanessa Botteselle. Senior guard Berrios finished the Heat’s last game of the season with a team high of 17 points and four rebounds. Berrios completed his career as the leading scorer in Heat history (1483). He is not only the second best three-point shooter, but also the 11th player in Canada West history to score a triple-double against the UFV Cascades on December 1, 2018. Senior guard Botteselle, on the other hand, finished the last game with a team high of 18 points, six rebounds, and four assists. Botteselle played 96 games throughout her Heat career, including 82 games as a starter, and has scored 693 points for the team. Botteselle has won one of two UBC Okanagan Female Rookies of the Year. She was named an Academic All-Canadian in her third year, and in her fourth year, she was a finalist for the UBC Okanagan Female Provost Award for Excellence. 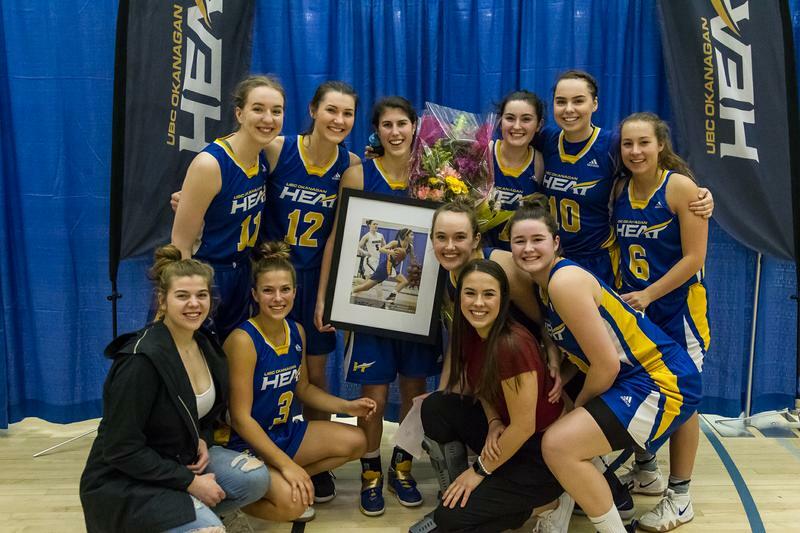 Although both the Heat men’s and women’s basketball teams were disqualified from the playoffs, the overall growth this season brought on both teams is attributed to the Heat training program and has been a major success. In this highly competitive Canada West conference among many potent collegiate athlete teams, the men’s team fell with a couple wins short from advancing into the playoffs. The women’s team, on the other hand, broke their losing streak of 37 games since February 2017, and finally won their first game of the season. The hard work demonstrated by our senior students in the past years have established a great model for youngsters to continue growing as a team. It may be an early vacation from the season’s battle for the student athletes, but the teams are still looking forward to the future.